Fairy Lovers or Peabody Lovers on your Holiday List? If none of those locations are convenient for you, contact Jackie Kelly at author@roxiesfairyadventure.com I’ll be happy to work with you to make sure you get the books you need! "Roxie's Fairy Adventure at The Peabody" Comes to The Woman's Exchange This Thursday--- I'll be signing books from 11 to 2--Come For the Scrumptious Lunch, Stay for the Signing! "Roxie's Fairy Adventure at The Peabody" is the story of a little river fairy with a big dream--and the "can do" attitude to make it happen. She dreams of exploring the South's grand hotel, The Peabody. But fairies are NOT allowed to be seen by humans, so she enlists the help of five very special friends, the Peabody ducks. Together they work to make her dream come true. I can't wait to meet you --and introduce you to Roxie--Thursday, December 7th from 11 to 2 at one of Memphis’ oldest and finest centers of hospitality, the Woman's Exchange! Enjoyed Meeting Lots of Fairy Lovers at Novel Last Weekend! Roxie and I enjoyed a lovely turnout at Novel in Laurelwood this past Sunday for our latest book signing event! Roxie hid amongst the lovely children’s books and toys –where she found an adorable fairy puzzle--while I got to meet lots of fairy lovers, plus several cute adoptable pups and devoted pup lovers from Real Good Dog Rescue. Many thanks to Emily Draffen and Wilson Robbins at Novel for making it such a fun event! "Why should little girls have all the fun? I wanna be a fairy, too!" "Yes! I'd LOVE some fairy stickers!" LET THE FAIRY CHRISTMAS MAGIC BEGIN! Saturday, December 2nd.will be a magical day at Frontrow Boutique in Marion, Arkansas Santa Claus will be available for pictures that day at the boutique from 10 to 12 noon. And a very special fairy will be making an appearance at Frontrow that day, too—but, shhhh! Don’t tell anybody, because fairies are NOT allowed to be seen by humans. You’ll meet Roxie the river fairy in the new children’s book. “Roxie’s Fairy Adventure at The Peabody”, written by Memphian Jackie Kelly. Roxie is an adventurous river fairy who dreams of exploring the South’s grand hotel, The Peabody. But fairies are not allowed to be seen….so Roxie enlists the help of five very special new friends, the Peabody ducks, to help make her dreams come true! Jackie Kelly will be here to sign copies of the book, and she’ll be handing out fairy wings, fairy stickers, Roxie coloring sheets and other surprises. So, get your list for Santa together and plan to head to Frontrow in Marion, Arkansas Saturday, December 2nd from 10 to 12. Let the fairy Christmas magic begin!!!!! 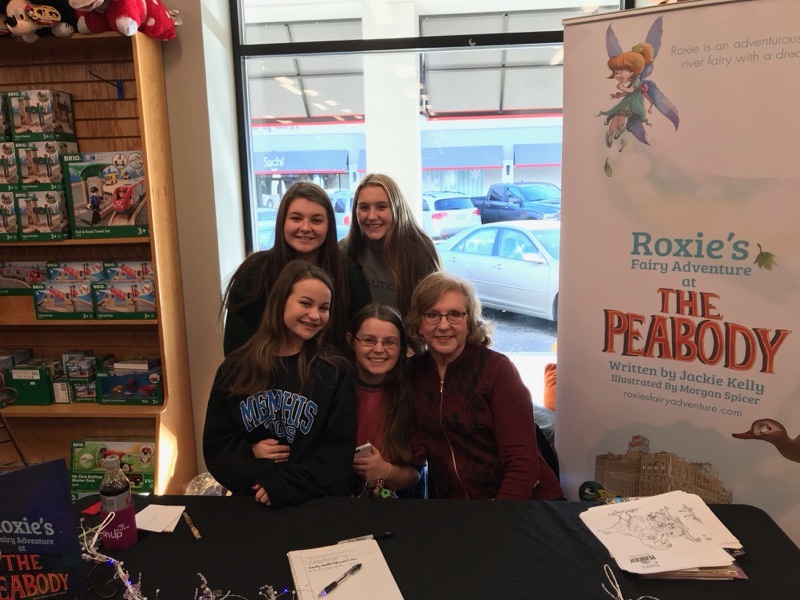 “Roxie’s Fairy Adventure at The Peabody” Book Signing—Along with Adorable, Adoptable Dogs from Real Good Dog Rescue —Coming November 19th to Novel! A fairy is coming to Novel! Her name is Roxie, but “shhh!” -- don’t tell anybody, because fairies are NOT allowed to be seen by humans. You’ll meet Roxie in the new children’s book , “Roxie’s Fairy Adventure at The Peabody”, written by Memphian Jackie Kelly. Whimsical, with a touch of magic, this is a satisfying book for lovers of fairies and lovers of The Peabody alike. The captivating illustrations by Morgan Spicer invite the reader into a enchanting world where an adventurous fairy (who isn’t allowed to be seen by humans) concocts a plan to make her dream of seeing the magnificent lobby of the Peabody Hotel come true-- with the help of the famous Peabody ducks. Join us for a “fairy fun” afternoon Sunday, November 19th from 2 to 4 at Novel, 387 Perkins Extended. Jackie Kelly will be here to sign copies of the book, with a portion of the proceeds going to benefit a local non-profit group, Real Good Dog Rescue. And you’ll be able to meet dogs available for adoption, and see pictures of many other adoptable dogs, as well! Plus, there’ll be fairy stickers, Roxie coloring sheets and other surprises. 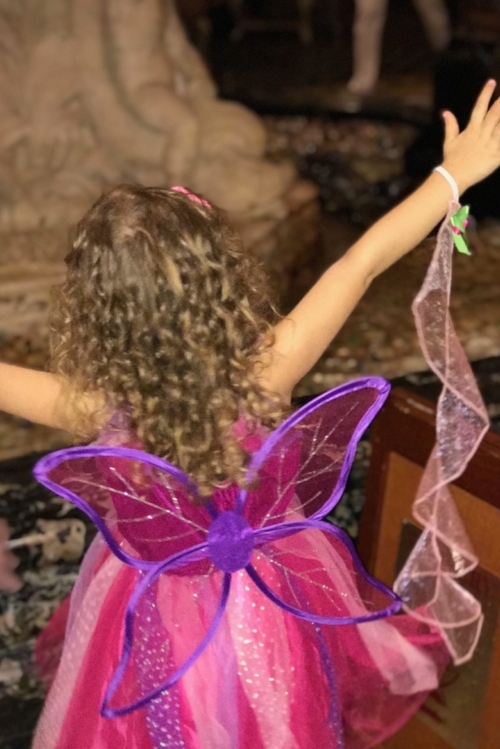 Make plans now to get your fairy wings ready and join us for the fairy fun! As we say in the South, “I’m a day late and a dollar short”, but I do want to let you know The Fairy Fun Roxie Kickoff October 7th at The Peabody was a rousing success…so much so that I’ve been filling Roxie orders, and planning TV appearances, book signings and school readings ever since! Whew! It’s good to be busy. But I do want to say a special thank you to all of you who attended and made the day so memorable—with special thanks to Roxie illustrator Morgan Spicer, who came all the way from New Jersey just to meet you all and sign books! 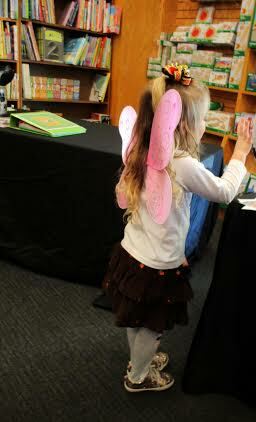 The Peabody lobby slowly filled with fairy wings as young Roxie fans happily chose their fairy wing color preferences. Afterwards, they clutched their signed books, fairy stickers and coloring sheets, and settled in to intently watch the duck march, looking extra carefully to see if they could get a glimpse of Roxie. Thanks so much to the wonderful staff at Lansky Lucky Duck Gifts for their expertise, promotion and many kindnesses in putting together this event. Thanks to Kelly Earnest, Peabody Marketing Director, for allowing us have this fun gathering in The Peabody’s beautiful lobby and for making Morgan’s stay at The Peabody so memorable. I’m so happy that Roxie has touched a chord in the hearts of so many! It may be because she’s a good example for young girls. Instead of relying solely on fairy dust, she's a fairy who knows what she wants, makes a plan and puts together a team to make it happen! The Peabody Memphis Plays Host to A Surprising New Guest! Her name is Roxie, and she’ll be making her appearance at the grand hotel October 7th…..but “shhh!” Don’t tell anybody! Because Roxie is a fairy…and she ‘s not allowed to be seen by humans. How will Roxie sneak her way into The Peabody? Will she be seen by humans? 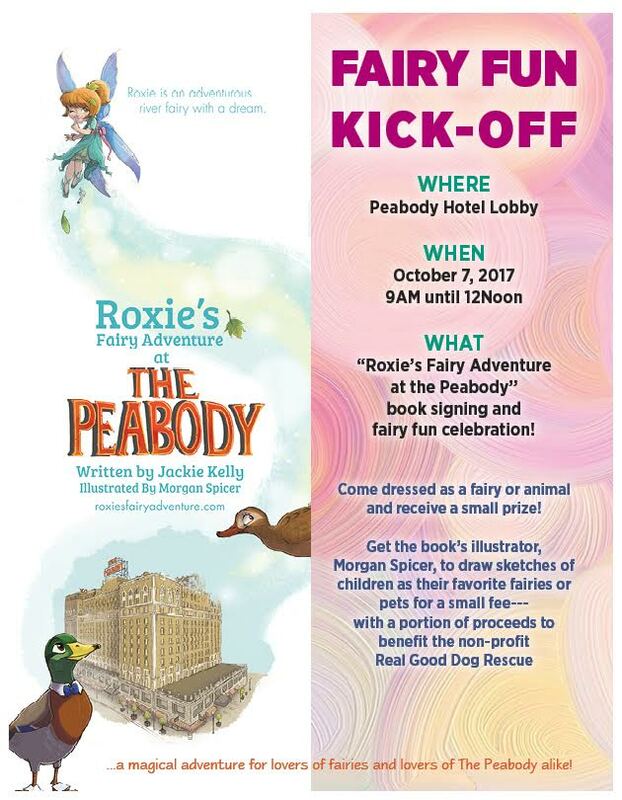 Find out when the children’s book, “Roxie’s Fairy Adventure at The Peabody”, by Jackie Kelly, debuts the morning of October 7th.with a “fairy fun kick-off” in the lobby of The Peabody Memphis preceding the morning duck march. A portion of the proceeds that day will go to benefit a local non-profit group, Real Good Dog Rescue. This will NOT be your ordinary book debut. Each child—or adult-- who comes dressed as his or her favorite fairy or elf---or as a favorite animal--will be awarded a small prize. A Roxie scavenger hunt for Roxie is planned. The book’s illustrator, Morgan Spicer, will to be available to draw sketches of the children as their favorite fairies or pets, sharing proceeds with Real Good Dog. Books purchased will be signed by both Morgan and author, Jackie Kelly. So, make plans now for a “fairy good” time…..at The Peabody, Saturday morning, October 7th. . Her name is Roxie, and she’ll be making her appearance at the grand hotel October 7th from 9:00 a.m.-12:00 p.m.…..but “shhh!” Don’t tell anybody! Because Roxie is a fairy…and she‘s not allowed to be seen by humans. How will Roxie sneak her way into The Peabody? Will she be seen by humans? 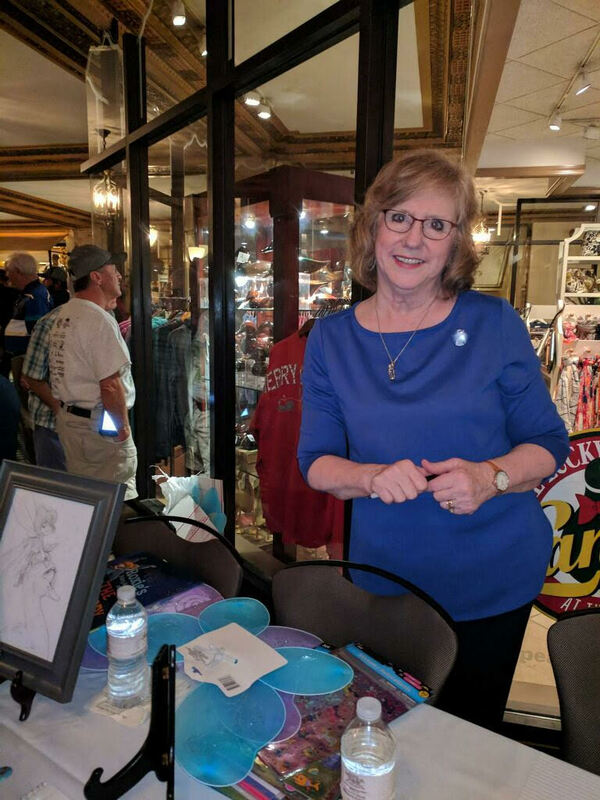 Find out when the children’s book, “Roxie’s Fairy Adventure at The Peabody”, by Jackie Kelly, debuts the morning of October 7th with a “fairy fun kick-off” in the lobby of The Peabody Memphis preceding the morning duck march. A portion of the proceeds that day will go to benefit a local non-profit group, Real Good Dog Rescue. This will NOT be your ordinary book debut. Each child—or adult-- who comes dressed as his or her favorite fairy or elf---or as a favorite animal--will be awarded a small prize. The book’s illustrator, Morgan Spicer, will to be available to draw sketches of the children as their favorite fairies or pets, sharing proceeds with Real Good Dog. Books purchased will be signed by both Morgan and author, Jackie Kelly.